Social sharing improves blog traffic and ranking. Placing a good social sharing plugin is very important for every blog. When the users like your article they will share your blog post link with their friends on social media. Here I did a smart research on good WordPress social sharing plugins list. Finding a best WordPress social sharing plugins list in 2018 is not an easy. To allow users to share your content on social networks descent is more difficult than it should be Do not you agree? There are thousands of plugins in the WordPress repository; however, I have time installing and uninstalling WordPress social media plugin too often. In my opinion, it should be much easier for any user to find a plugin to share anything on social networking function to do what you really ask. Then there is the issue extremely important to get support when needed. The reality is that there is a WordPress social sharing plugin made for you out there. I made a smart list for you. These are the best WordPress social sharing plugin to allow sharing content on social networks. I think that this list can help you answer those questions so typical of what social networking plugin installed. Whether it adds social buttons, counters followers, encouraging social action or monitor social networks from your WordPress blog, there is a plugin designed for you either free or premium. “Sharing is Caring“. This is one of the motivational headings, appears after install the below listed one of the plugins. Yes, sharing and caring are very important in blog promotion. The Social sharing Plugins for WordPress users gives the option to share your content through their social accounts. This is one of the important points in SMO (Social Media Optimization). 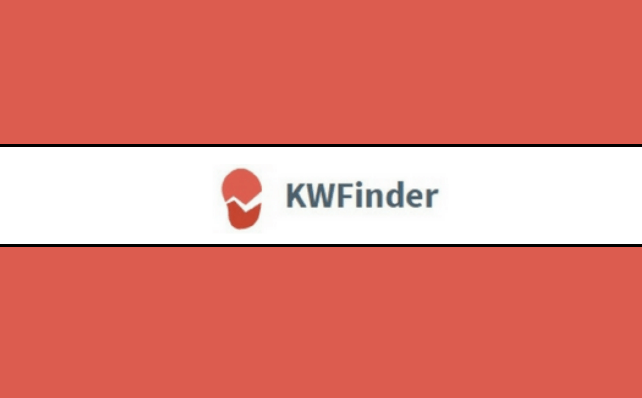 In this post, I listed some top-rated WordPress social media plugin list those are most popular and providing the complete access to the WordPress dashboard. Social Warfare is a popular social sharing plugin with a visually stunning look. This plugin helps you keep the social sharing buttons in various locations on your blog like above / below your posts, via shortcodes and even floating buttons also. The social warefare plugin gives better results with their more powerful features that give excellent social sharing boost. The plugin is giving good results with Pinterest image sharing. It has the option to place the tweetable quote boxes within your content with quality ready-made and predesigned box templates as per your theme design. Monarch is a new WordPress social sharing plugin for a social sharing and exchange created by the team at Elegant Themes. This plugin has some impressive, similar to Easy Social Share Buttons characteristics such as display counters shares after reaching a certain number of shares. And you can show social icons in the sidebar or in widgets and monitor social shares from an impressive interface. It also offers several options for color the latter designed to help encourage readers to share your content on social networks very interesting buttons with pop-ups and fly-ins. Note: The plugin is not only well optimized and built for speed loading of the website, but also provides all the necessary features to encourage social shares. Price: $ 89 / year (you can cancel at any time and get access to other plugins, and more than 87 WordPress Themes). I have long been looking for a social sharing plugin that suits me for my needs and my website. I have come to pay a developer to develop a custom plugin but, luckily, I found this completely WordPress social media plugin. A common problem for most Social sharing plugins usually quite generic and do not give any control over how accountants social shares are. This plugin is different. It gives you the option to choose different ways to display counters shares, including the total number of shares. You can also choose to disable the counters if they are below a certain number. This little detail is very important.When you have an item that has been rarely shared in social networks and is showing the number of shares in your content, this tells your readers that are not being shared. This has a negative impact on the perception of your visit. Note: While this sounds great to have so many features at a price. Recent updates of this plugin have the clunky interface and consume more resources. Mash share is another awesome social sharing plugin for WordPress users. It has clean and eye-catching feature. Already morethan70, 000 websites published their great positive reviews on WordPress plugin repository. You can share the particular lines from your article with this plugin along with “Click to tweet” widget add-on. In addition to the multiple positions that cisman be displayed, the most important is the number of networks and services that can be activated: over 330. Needless to emphasize that anyone, regardless of their CMS (WordPress, Blogger, etc. ), can generate buttons and bars floating content recommendations (smart layers) from their website/blog, where they can also record statistics of WordPress social media plugin activity. Note: As a plugin that takes a long time to market and it has a forum with many unresolved questions. Simple Share Buttons adder is a plugin for WordPress simple and easy to use that lets you add buttons to share on social networks in your posts and pages. Once you choose the location, the text, and the image is ready to use. Simply this is very good and recommended and having very good Social Media Buttons for Websites and blog post sharings. WP social sharing is the free social share plugin available in WordPress plugin repository. It has 6 major social networks support buttons like Facebook, Pinterest, Linkedin, and Twitter. You can choose the social buttons to display in your blog post from the plugin setting page. Along with the social network choosing option, you can choose the places where to appear on Posts, pages, media and custom post types. The floating toolbar is created by Buffer already a classic for any WordPress newly installed, its main feature. In addition, you can embed the buttons of social networks at the beginning or end of the article for a horizontal or vertical format while the shown number of times you have shared content on each social network, allowing a great personalization. Display all popular social sharing buttons with a count, such as Twitter, Buffer, Facebook Share, Facebook Like, Digg, LinkedIn, Google+1, Reddit, dZone, TweetMeme, Topsy, Yahoo Buzz, StumbleUpon, Del.icio.us, Sphinn, Designbump, WebBlend, BlogEngage, Serpd, Pinterest, Pocket, and Tumblr. Have any suggestions we should include in the next update? The WordPress plugin Floating Social Bar includes social buttons to share on Facebook, Twitter, Google+, LinkedIn and Pinterest networks. One of its main features is that it is designed to minimize the resources used. Often these plugins require large resources, resulting in increased speed of loading of the website. This WordPress social media plugin does not load too much code for each time the button is executed, it simply displays a picture of them. If the user clicks on any button, then carry out the procedure. Thus, every time a page is loaded, but no one clicks on the social buttons, will not further load the website. Note: Only available social buttons on the sidebar, does not add buttons above and below the articles or pages. Shareaholic is most popular WordPress social media plugin for sharing content on social networks. It can use to manage content in different ways. You get access to a variety of different styles for social buttons, which are more striking than the native buttons. Note: You will have to register an account to access all features Shareaholic can offer, but it’s free, which is awesome. You can add the basic sharing buttons at the top and bottom of the content. The another feature of this plugin is, you can choose whether displayed on your homepage, pages, posts or categories/archives with smart control. 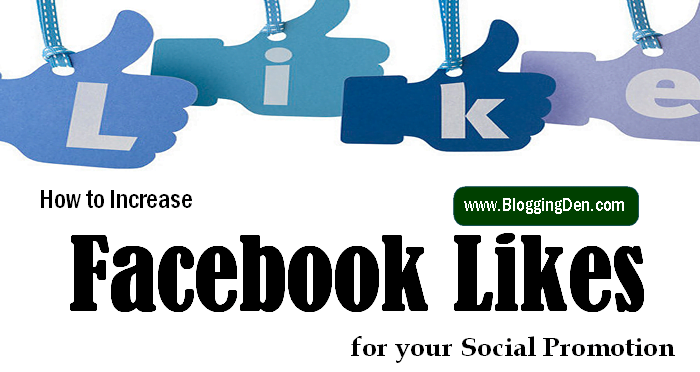 Social Share & Locker Pro is a WordPress plugin for social exchange that comes handy with lots of interesting features. Firstly you can things like flashy add social buttons in your posts and pages. It also allows you to shield content, which means it can offer, for example, bonds or premium content in exchange for a tweet. Note: It is very helpful for increasing engagement in your articles. Ultimate Social Deux is another great plugin to add social buttons. Their social buttons have totally different plugins most important aspect and have features like counter shares, shortcodes, and several display options. Note: It also gives you the option to display the counter of followers. AddToAny is an awesome social sharing plugin for adding share buttons to WordPress blog. The most advanced feature of this plugin is having universal buttons for more sharing feature. Universal email sharing feature to share via Gmail, Yahoo mail, Outlook, AOL mail, etc. Swifty bar is a different social sharing plugin. The plugin adds a sticky bar at the bottom of the post that shows category, post title, author, and time needed to read the article, share buttons with share count and previous/next post links. The plugin is giving very user experience with more options. It was well coded with fast loading feature. It doesn’t show any impact on site loading speed. The sticky bar shows post title, category and authors name. Social sharing is very important after publishing a new post. For WordPress users, the above listed WordPress Social media plugins help to share their content on Social media. Most of the above plugins tested in my blogs up to few months. I got very good results also. Personally, I am suggesting Easy Social Share Buttons because it is giving good results. Monarch is also one of the Best WordPress Social Media Plugin. In free plugins – Shareaholic WordPress social sharing plugin and Add this is also effective. Share this article with your friends through Social Media. Have you already installed some WordPress social media plugin for sharing? Give me your thoughts in the comments. Glad to have this superb list of plugins but I was wondering SumoMe to be on the list too. Anyway great list! Thats a nice list of Plugins. I am using most of them for my blogs. And yes, ESSB is the best premium sharing buttons for WordPress. As you list up details of plugins are good. All plugins are simple and easy to use with special features.